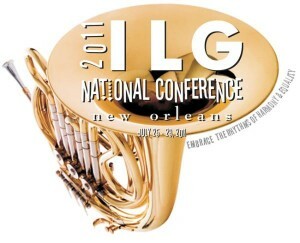 Last night was the opening event of the 2011 ILG National Conference. Highlights included this spectacular musical performance celebrating the diverse racial, cultural, and musical history of New Orleans. Following the performance, OFCCP Director Patricia Shiu delivered her annual keynote address covering recent accomplishments, current events and future plans. Ms. Shiu reminded the audience that the White House directive to eliminate the gender pay gap is still very much in effect. Also, that the OFCCP is still pushing hard to update many areas of the regulations including Section 503 of the Rehabilitation Act, The Compensation Guidelines, Section 4212 (Vets regs), the Compliance Manual, The Itemized Listing (desk audit letter), and the Construction regulations. Women are making 81 cents for every dollar that men make and Ms. Shiu stated that the difference can account for hundreds of thousands of dollars across a person’s career. The OFCCP expects to roll out a new compensation collection tool in the next few months. Make sure to attend the preconference “EEO Analysis Bootcamp” lead by Dan Biddle, Patrick Nooren and Daniel Kuang on Tuesday, July 26. This presentation will attempt to cover every fundamental statistical technique used in EEO analysis and compliance, including: adverse impact, utilization analyses, “tipping point” tests, multiple regression (for compensation analysis), and logistic regression (for advanced adverse impact analysis). Developing a core understanding of these topics is essential because virtually every practitioner who works in the EEO/AA compliance field needs to be familiar with these techniques. Then, on Thursday, July 28th, Dan Biddle will be participating in a panel titled “Navigating the Landscape”. The world of equal employment opportunity (EEO) and affirmative action (AA) continues to change with the times. This change happens for a variety of reasons, including political leadership turnover in Washington D.C., new laws, and new enforcement policies. Federal agencies also adapt to deal with contemporary forms of discrimination, and courts continue to rule on controversial EEI cases where science and law necessarily intersect. The purpose of this presentation is to update the federal contractor community on a series of cutting edge EEO/AA topics (e.g., compensation enforcement, fatal flaws in employment testing, EEO/AA for disabled and veteran applicants, hot trends in OFCCP audits, relevant case law review, etc.). Toward that end, a panel of experts was organized, and includes experts from EEO law, Industrial-Organizational Psychology, and HR practice. The session will use a pre-determined question and answer format, and will also take questions from the audience. Time: 2:15 p.m. to 4:00 p.m.
Also, stop by the Biddle Consulting Group booth and say “Hi!”.